Information about the Foothills Command. Contact the Foothills Area Command. View crime statistics for the Foothills Area Command. View upcoming events for the command. Welcome to the Foothills Area Command. The officers and staff of the Foothills Area Command of the Albuquerque Police Department are here to serve our community. The Foothills Area is bordered by San Antonio NE to the north, the Sandia Foothills to the east, Kirtland Air Force Base to the south, and Eubank Boulevard to the west. James Collins is the Commander of the Foothills Area Command. After completing Albuquerque Police Department's 77th Cadet Class in 1997, he was sworn in as an Albuquerque Police Department officer where he has worked more than 21 years in law enforcement. 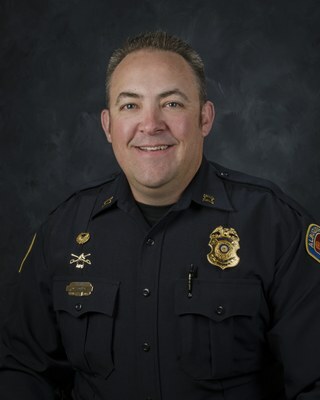 Commander Collins has served in the Field Services Bureau, in the Horse Mounted Unit, as Albuquerque Police Department Range Master, and Advanced Training Sergeant at the Albuquerque Police Department Academy. He was subsequently promoted Lieutenant and was assigned to Field Services as a dayshift Watch Commander in the Foothills Area Command. He later served with Special Operations as the Tactical Lieutenant leading SWAT, K9, and Bomb Teams. Learn more about the Area Command leadership. Join us for a meeting of the Foothills Area Command Community Policing Council.